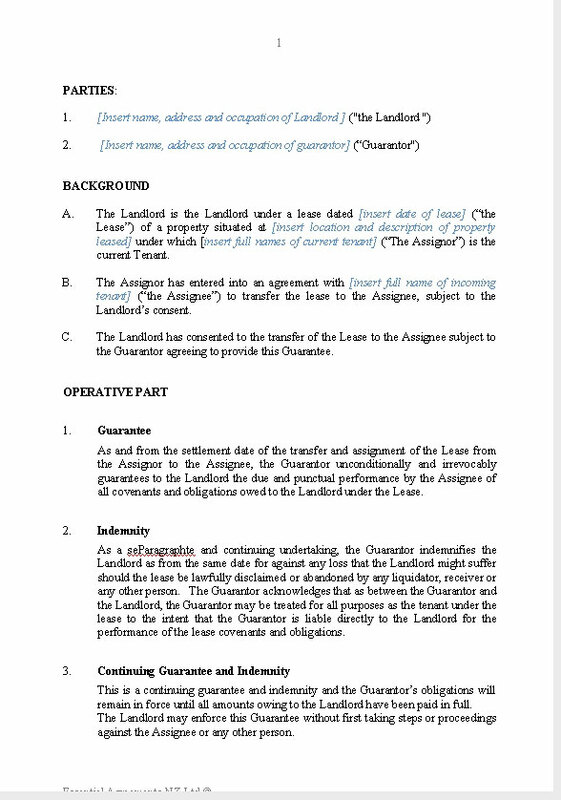 A Guarantee of a Lease given as a requirement of landlord consent on the sale/assignment of a lease form one tenant to another. 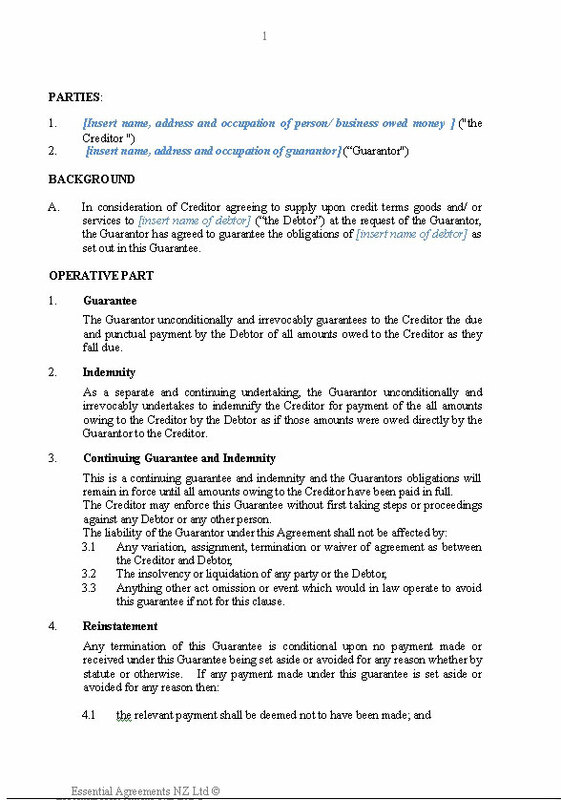 A Guarantee of a loan which has been documented under a separate loan agreement. The Guarantee has options for security to be given and an option to provide a maximum limit of liability. Avoids the need for a loan contract to contain a guarantee, or can be used to provide extra security or guarantee if needed. 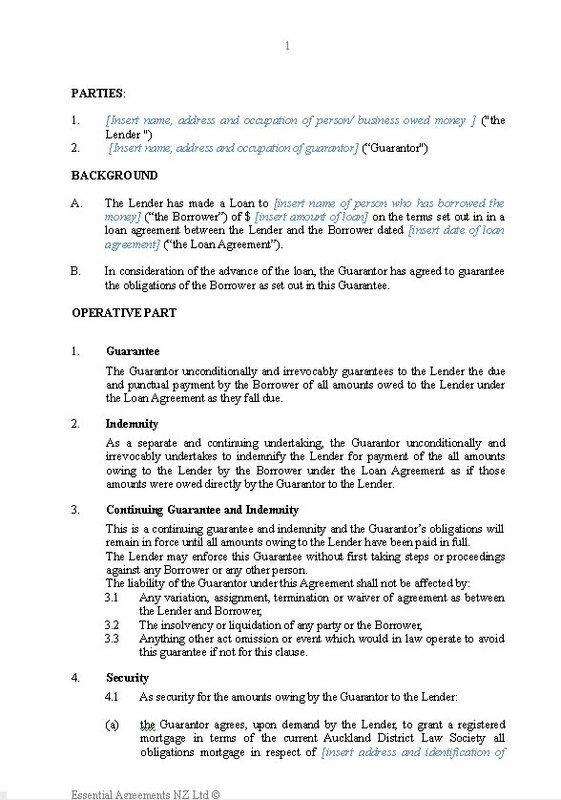 A Guarantee of a loan which has been documented under a separate loan agreement. 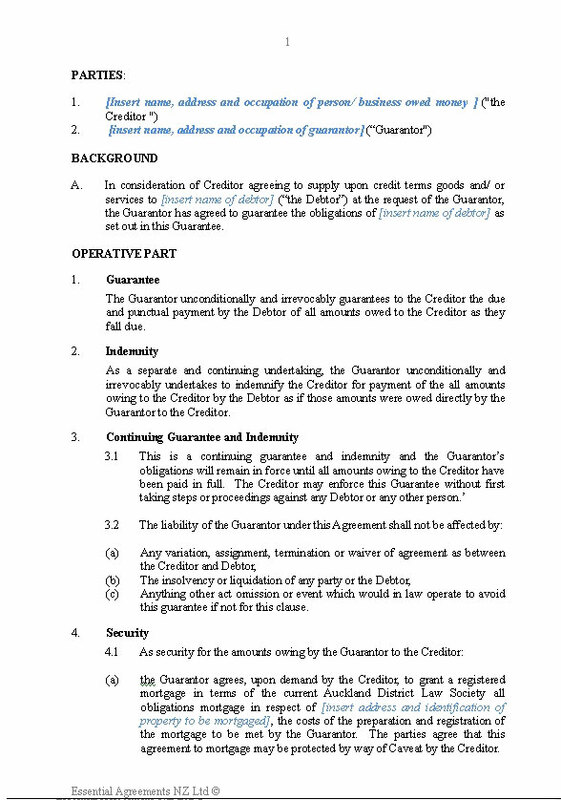 The Guarantee has an option to provide a maximum limit of liability. Avoids the need for a loan contract to contain a guarantee, or can be used to provide extra security by way of a guarantee if needed. Suitable for a business or personal loan. 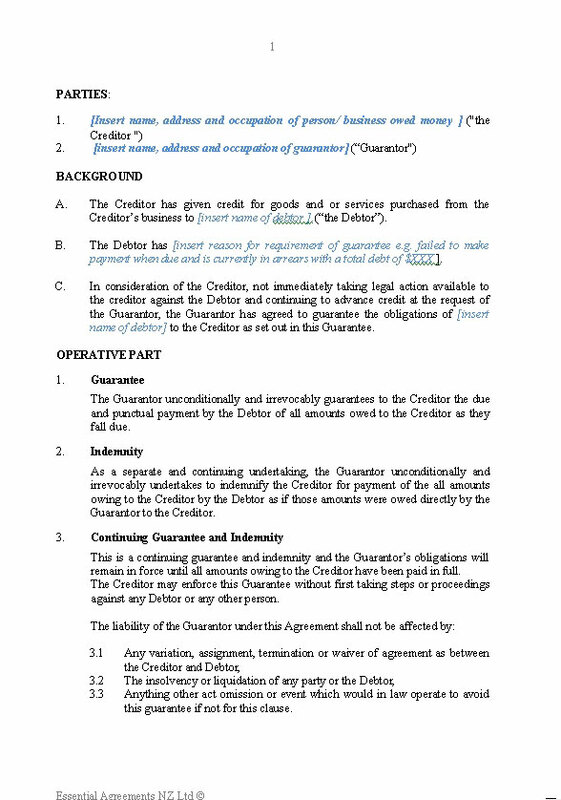 A Guarantee to a supplier to guarantee a trade account or credit given to a customer for the supply of goods and/ or services in circumstances where the customer is in default and the guarantee is given in return for the continuation of credit. The Guarantee has options for notice of termination in respect of future liability and also an option to provide a maximum limit of liability. 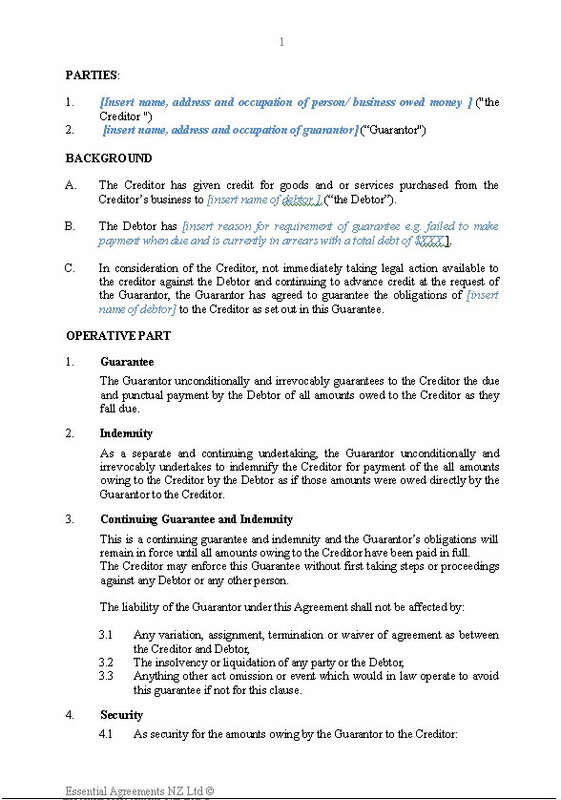 A Guarantee to a supplier to guarantee a trade account or credit given to a customer for the supply of goods and/ or services in circumstances where the customer is in default and the guarantee is given in return for the continuation of credit. The Guarantee has options for notice of termination of future liability and also an option to provide a maximum limit of liability. 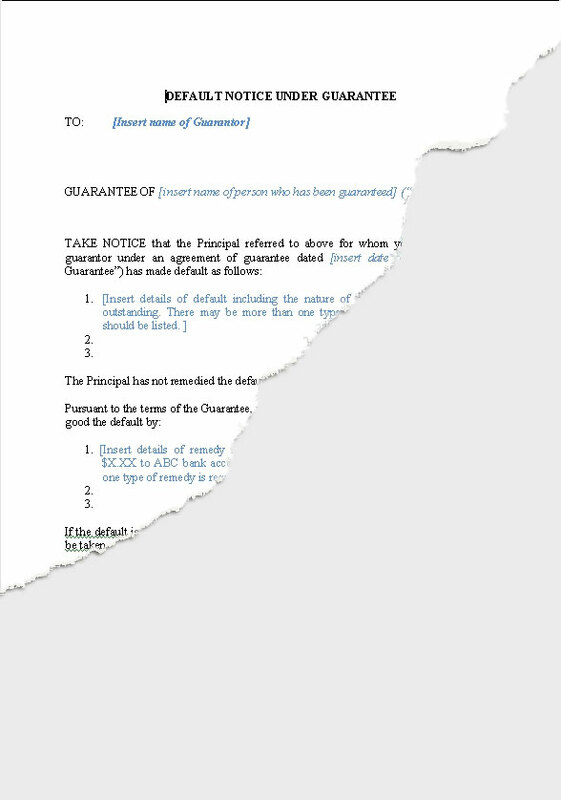 A notice to a guarantor advising that a default of the guaranteed contract has occurred and seeking remedy of that default. A very short form single page guarantee of a trade account. Avoids the need for a guarantee to have been included in terms of credit, or can be used to provide extra security or guarantee if needed. 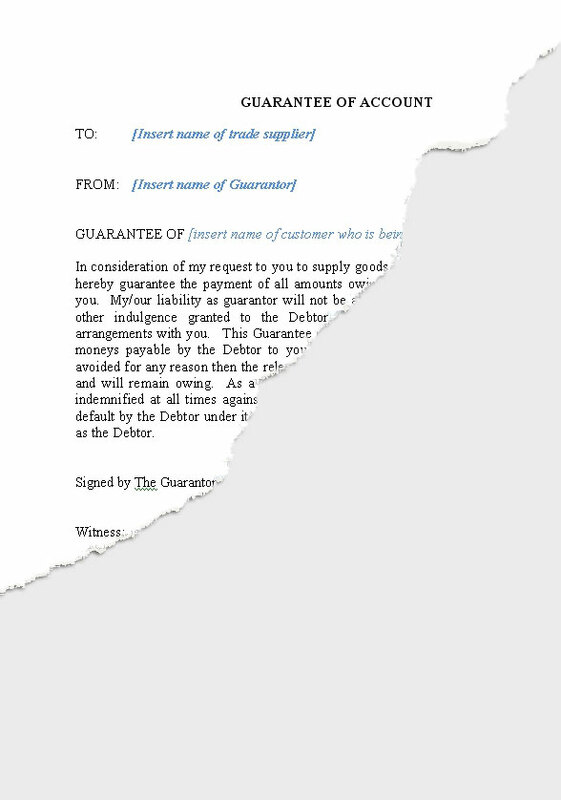 A Guarantee to a supplier to guarantee a trade account or credit given to a customer for the supply of goods and/ or services. 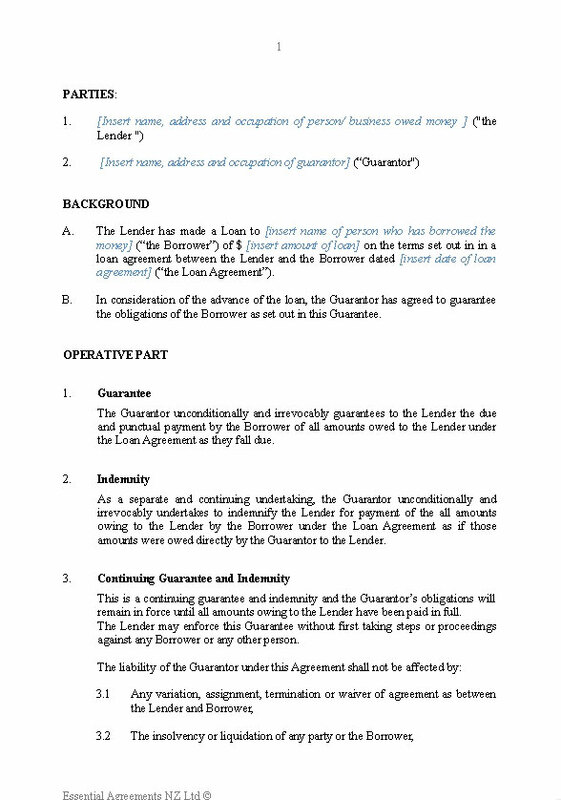 The Guarantee has options for security to be given, an ability to terminate in respect of future liability and also an option to provide a maximum limit of liability. Avoids the need for terms of supply to contain a guarantee, or can be used to provide extra security or guarantee if needed. A Guarantee to a supplier to guarantee a trade account or credit given to a customer for the supply of goods and/ or services. The Guarantee has options for notice of termination for future liability and also an option to provide a maximum limit of liability. Avoids the need for terms of supply to contain a guarantee, or can be used to provide extra security or guarantee if needed.